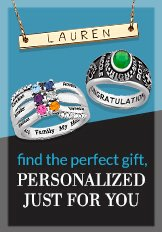 When you are shopping on LimogesJewelry.com and add an item to your cart, it is saved in your Shopping Cart. The Shopping Cart holds products you wish to purchase while you shop, the same way you use a shopping cart in a retail store. Items you place in your Shopping Cart will remain there until they are purchased or removed. Remove an item from your Shopping Cart. To remove an item, click on the trashcan icon or change the quantity to zero and click "Update Cart." Continue shopping. If you wish to continue shopping on LimogesJewelry.com, you can use the Shopping Cart to store items you wish to purchase. Click on "Continue Shopping" to search the site for additional items. At any time during your shopping experience, you can return to your Shopping Cart by clicking on "View Cart." Proceed to Secure Checkout. When you are ready to purchase your item(s), click on "Secure Checkout." Our checkout process is fast, easy, and secure. For more information on our secure shopping guarantee, click here. Sign In. First, sign in using your e-mail address and password. If you forgot your password, click here. Your e-mail address serves as a convenient way to receive important information about your order and serves as your LimogesJewelry.com account identification. Your account stores information such as order history and your billing and shipping address. It also offers you the ability to track your order(s). The password assures that only you can have access to your account information. Select and Enter Payment Options. At this time, you must enter your payment method. For more information on payment, click here. Order Review. On the Order Review page, you can review your entire order, including your shipping address, shipping method(s), and billing information, all of which can be edited at this point. You will also see your applied discounts and promotions, total charges, and gift options. To complete your purchase, click "Send My Order." Receipt Page. After you complete the checkout process, the Receipt page provides you with your order number. You will need to save this order number for your records. You will need this information for all references to your order. Please note: We cannot change or cancel an order once it has been placed. For more information about Changing or Canceling an Order, click here. Sign In.First, sign in using your email address and creating a password. Enter Shipping/Billing Address. Enter your shipping and billing address in the fields below and indicate where you would like your order sent. Click "Continue Checkout" when complete. Your name and billing address must be entered exactly as they appear on your credit card statement to avoid any delay in the authorization process. Order Review. On the Order Review page, you can review your entire order, including your shipping address, shipping method(s), and billing information, all of which can be edited at this point. You will also see your applied discounts and promotions, total charges and gift options. To complete your purchase, click "Send My Order." In the Shopping Cart, prior to checking out, enter the code exactly as it appears, in the box next to "If you have a special offer code, enter it now." Codes are case sensitive. If your discount qualifies, it will be displayed in the payment summary. Only one Coupon Code per order will be accepted. After you have clicked "Send My Order", your order begins to process and you cannot cancel or change your order. * Our system is designed to fill orders as quickly as possible. Once you receive your order in the mail, simply return any items you do not want by following our Return Instructions. Please note: personalized items may not be returned unless damaged or defective. Limoges Jewelry reserves the right to cancel any order due to, but not limited to, stock issues, site related malfunctions, improperly stated pricing, coupon code or discounts, and failed credit authorizations.